Your ticket cannot be round trip. You must be on your way to a third location (Hong Kong counts). For example, I went from Seoul->Beijing->Hong Kong->Seoul. 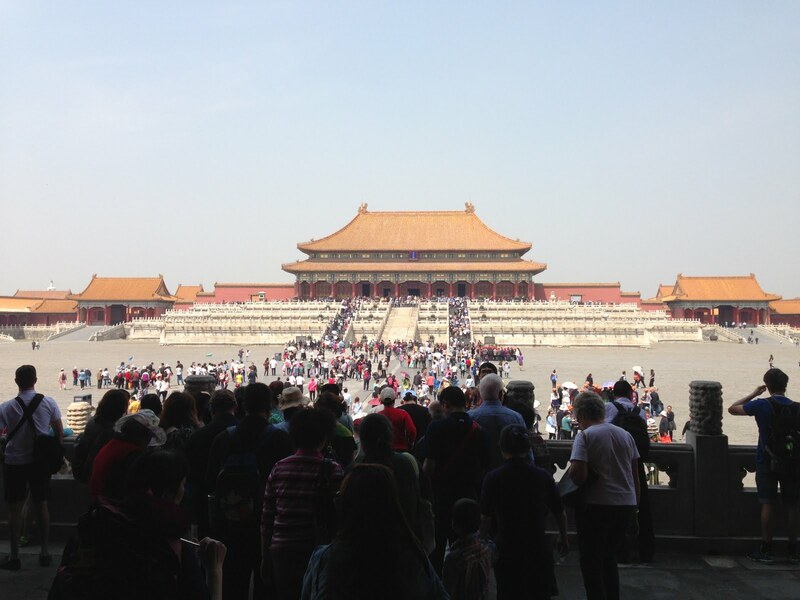 The first thing I noticed in Beijing was the people. The masses and masses of people. Having been in Seoul for almost four years now, I’ve grown quite accustomed to jammed sidewalks, busy shopping malls and people shoving themselves into packed subway cars. But Beijing blows Seoul out of the water. There were literally pedestrians, bikers, and cars everywhere. It is nearly impossible to feel alone in this city. That being said, Beijing unexpectedly felt a lot less like a concrete jungle than Seoul. To be honest a few places felt like a typical neighborhood in Kansas (with more people of course). In a few of the areas we visited, the houses were mostly single or double storey, the streets were fairly small and quiet, and trees lined the roads. ‘Quiet’ is certainly a relative term however, as even small streets were quite crowded. While I wasn’t exactly pleased with the crowds, one thing I certainly loved was the food. Oh, the glorious food. 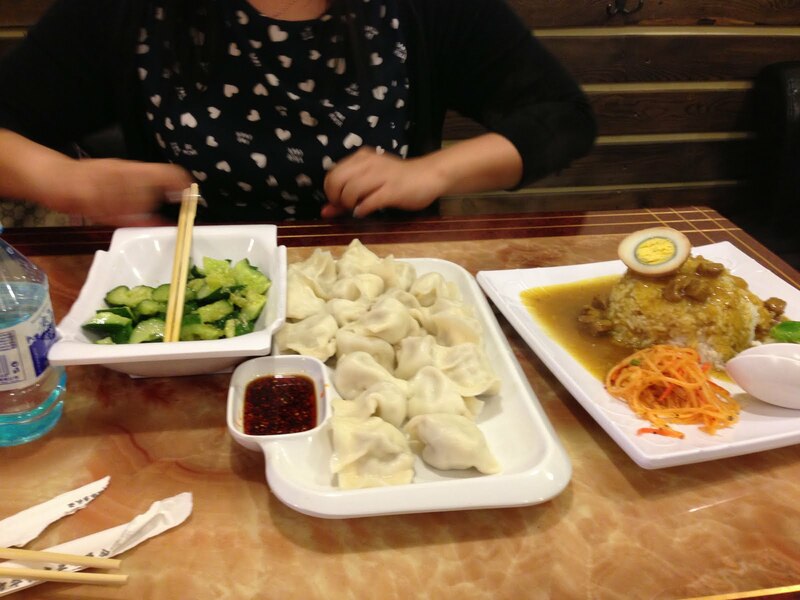 I can’t say enough good things about Chinese cuisine. 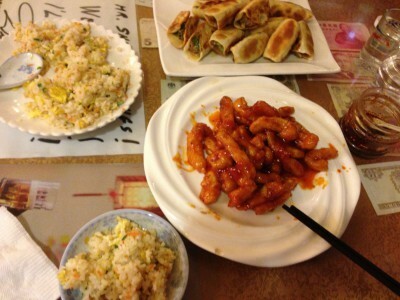 And no, I’m not talking about the westernized ‘Chinese food’ you find in America. 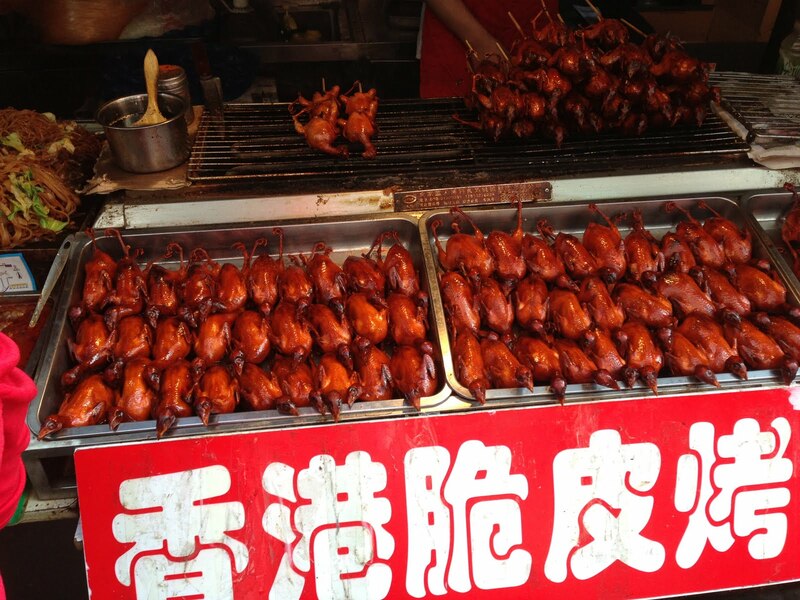 Don’t expect to find any General Tso’s chicken in Beijing. 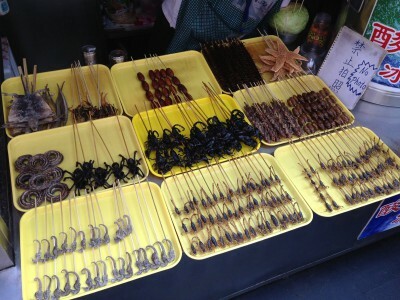 While I’m a pretty big fan of Korean food, I have to say, there’s just not a lot of variety. This is certainly not the case in China. The fist menu I picked up was about 30 pages long. It’s hard to even describe how many options you had. I couldn’t even tell what half of the pictures were. In addition, from what I’ve heard, Chinese cuisine varies pretty significantly as you move across the country. And there’s a plethora of choices for those with more… exotic tastes. Speaking of overindulging on Chinese food, another unfortunate thing to note about Beijing, is the lack of western toilets. Even in some of the nicest shopping malls, department stores, and finance buildings, western bathroom facilities are a rarity. And the few that I did find… well… let’s just say they weren’t in a usable condition. If you’re anything like me, and your stomach has problems with unusual or spicy dishes, I wouldn’t recommend straying too far from your hotel. 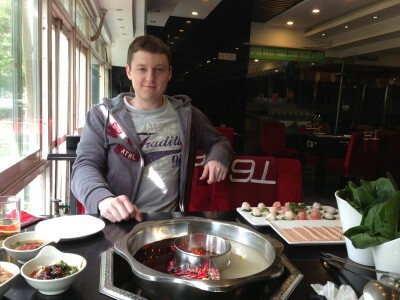 My first hot pot experience. Incredible. 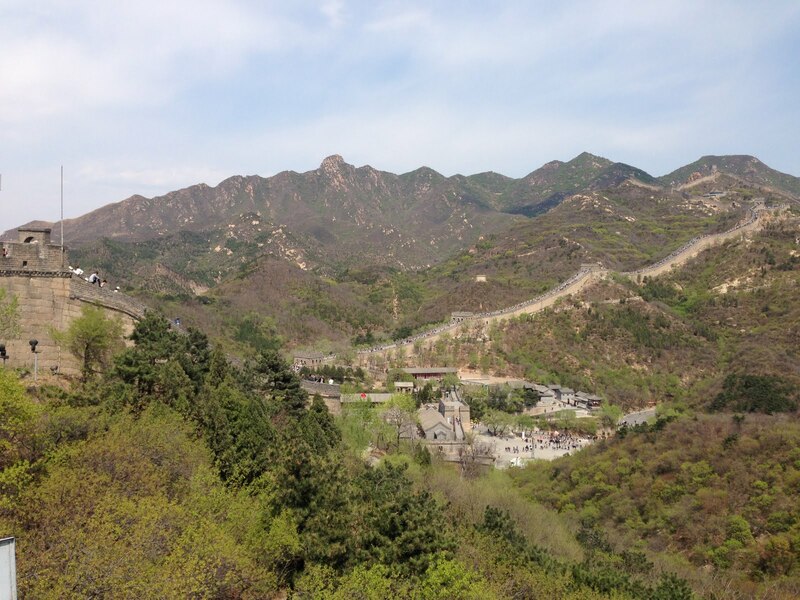 Of course, I couldn’t go to China without making a trip to the Great Wall. We went to Badaling, which is one of the most touristy sections of the wall. It’s also pretty close to Beijing – just about an hour bus ride from our hotel. From what I understand, due to the crowds, it is one of the more underwhelming sections of the wall to visit, but I can’t complain. 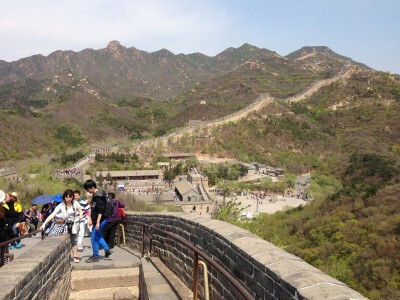 The weather was beautiful, there were some pretty good views, and it was great to finally set foot on the Great Wall. Check that one off of the bucket list. Oh, and in China, I hear you’re not considered a man until you have climbed the Great Wall. So I guess I’m finally a man now. That’s good news. 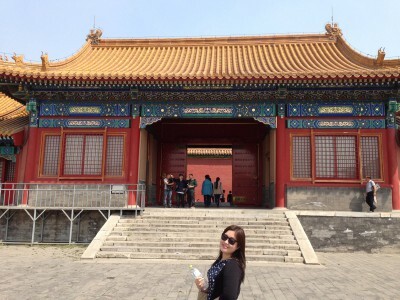 In addition to the Great Wall, no trip to Beijing is complete without stopping by the Forbidden City. I rented an ‘audio tour’ headset for a few dollars and wandered around for about two hours. There was quite a bit to see, and the size of the city was impressive, but overall I can’t say it was one of the highlights of my trip. Maybe I’ve seen too many similar palaces in Korea. Ah well. Another check off the old bucket list. 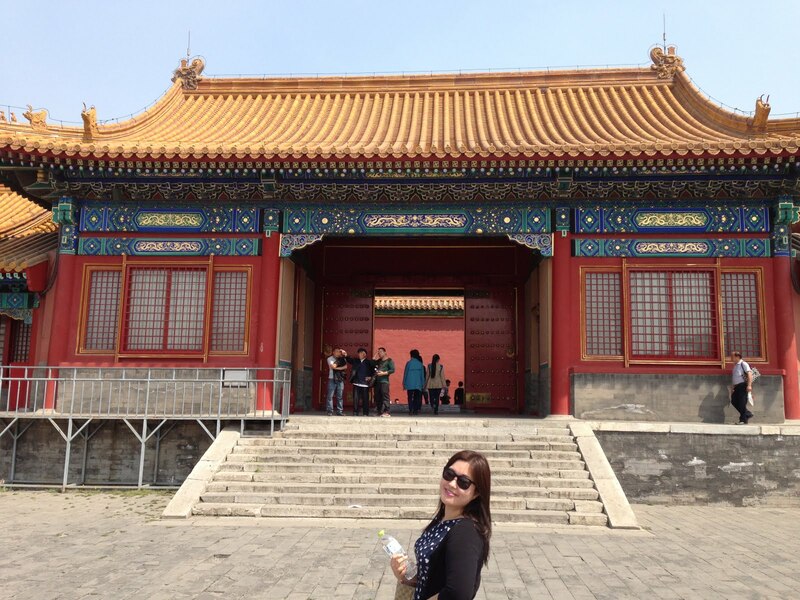 Outside the Forbidden City. It was bright. 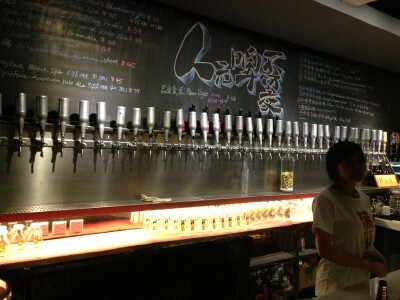 Although we didn’t experience too much of it, Beijing has a pretty lively night life. 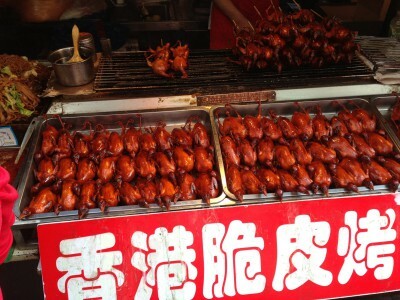 One of our good friends lived in Beijing for a few months, and suggested a few places for us to go. 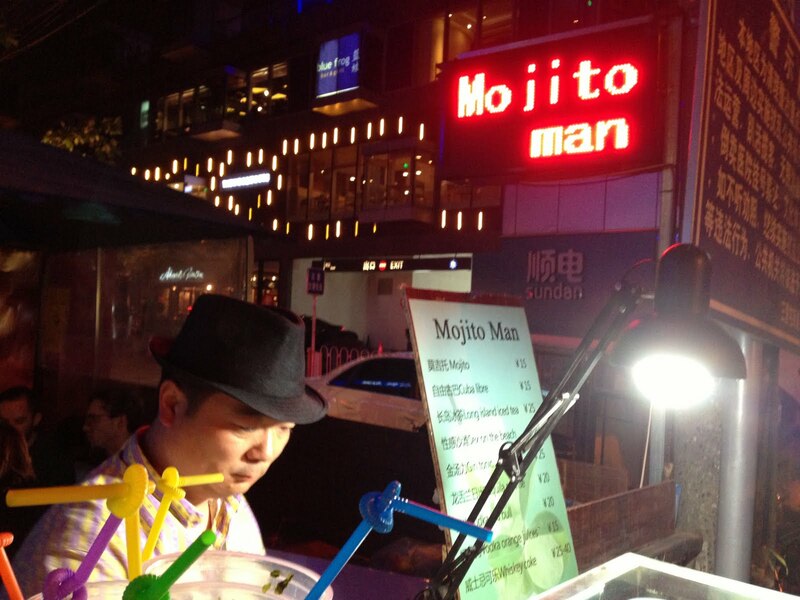 One of our favorite stop-offs was the Mojito Man in Sanlitun. Cheap drinks and street food – everything I’m looking for in a night out. Be careful though… there was another knockoff “Mojito Man” down the street. After a drink from him, Kate felt sick, got a terrible headache, and we had to go home. Apparently a lot of street drink vendors will modify the advertised ingredients, so be wary of who you buy from in China. 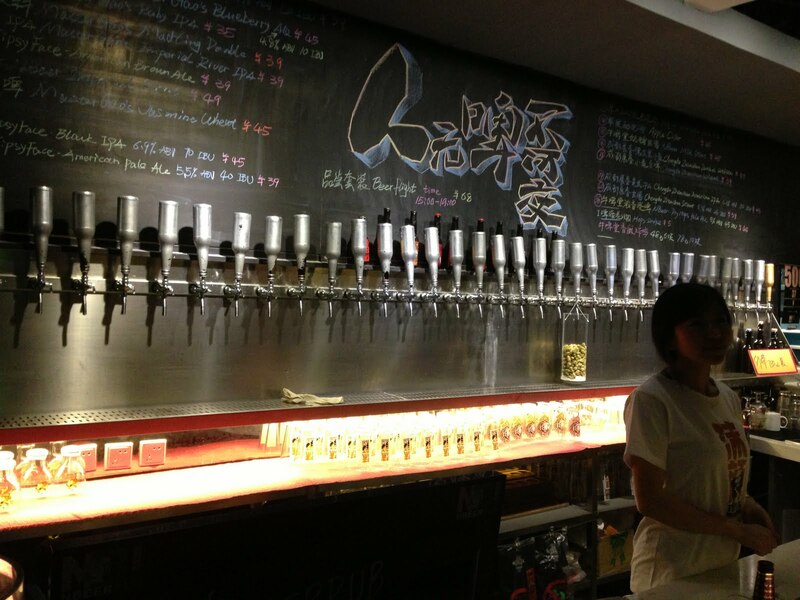 None of the taps were fake! Korean bars could take a lesson. 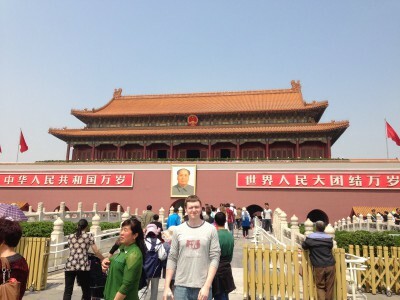 Overall, I had a fantastic time in Beijing. The sheer number of people and the daily pollution exposure are probably enough to deter me from actually living there, but it was a really great place to visit. 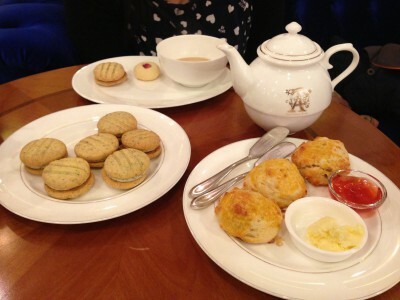 Good food, cheap prices, lots to do and see – what’s not to like? I’d happily take another trip just for the food. China is a big place, and I’ve only experienced a tiny fraction of it. A second trip to the mainland is definitely in my future. Next time, I’m thinking it will be Shanghai.